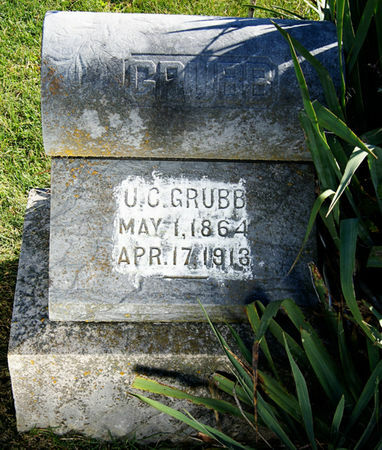 Ulysses Clark Grubb, son of Colvin Grubb and Emily Lewis, was born May 1, 1864 in Henry Co., Iowa and died April 17, 1913 at Conway, Taylor Co., Iowa. He married Lovina Shepherd Oct. 10, 1888 in Taylor Co., Iowa. Searching for ULYSSES CLARK GRUBB in Taylor County Iowa?